Role > Redesigned Identity; including logo, letterhead, envelope, business card and folder. Objective > The objective was to give the client a fresh new sleek look, but retain some of the elements from the former identity. 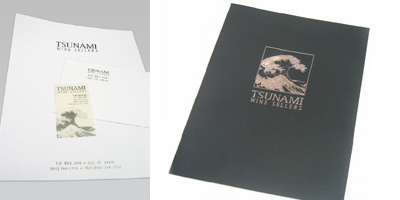 Results > The new identity was very well received and also acted promotionally for Tsunami.